“Embrace the wrinkles.” That’s what I say. 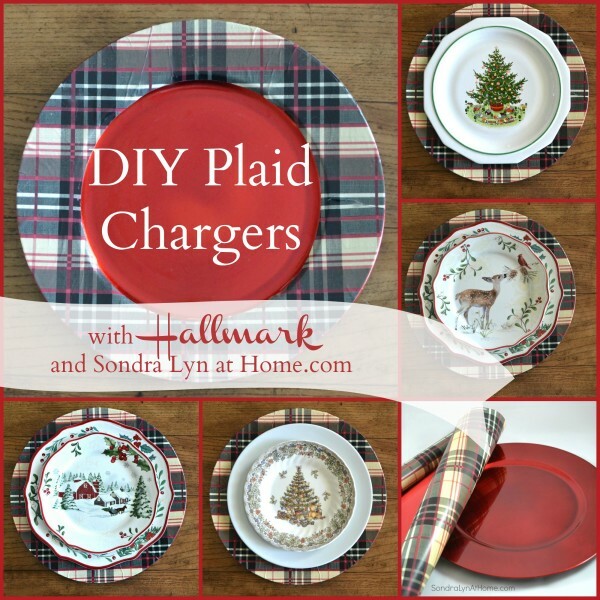 Oh, I don’t mean on my face… I mean on my DIY plaid chargers! This DIY is all about effect, not perfection. 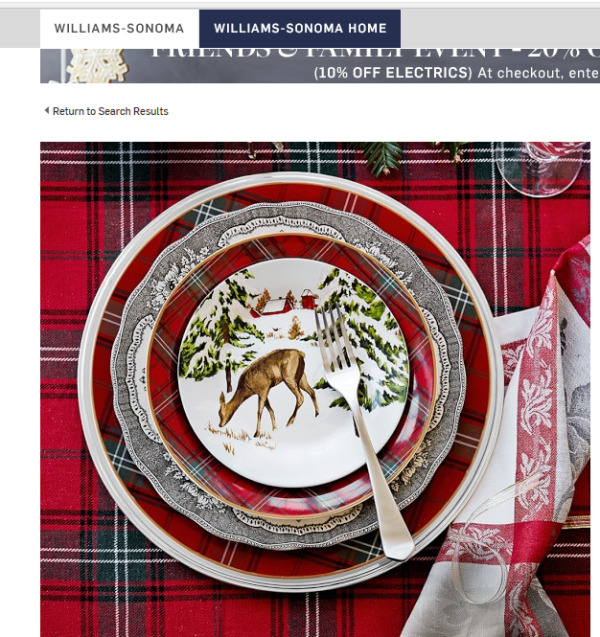 Since the day I saw these red tartan plaid chargers from Williams-Sonoma, I have been smitten with plaid. And our recent trips to Scotland only fueled the fervor! But their price tag was a bit high for me, so I decided to go shopping for some plaid wrapping paper to make my own plaid chargers! 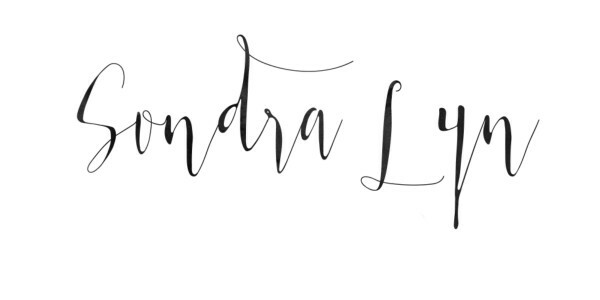 This post contains affiliate links for your convenience (which means if you make a purchase I might earn a small commission which helps keep my blog going but it won’t cost you a penny more)! Click here to read my full disclosure policy. I took some plain red chargers, and laid one face down on a piece of the wrapping paper, cutting around the edge with an exacto knife. Then I took a salad plate that was close in size to the inside part of the charger, laid it face down in the center of the big circle of wrapping paper, and cut around the plate, again with my exacto knife. This left me with a doughnut-shaped piece of paper. I then applied Mod Podge to the outer rim of the charger and adhered the paper ring around it (Be gentle at this point!! 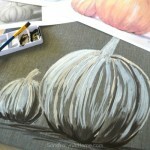 The more you handle the wet paper, the more it might wrinkle, tear, or the design rub off). And honestly, it’s going to wrinkle. 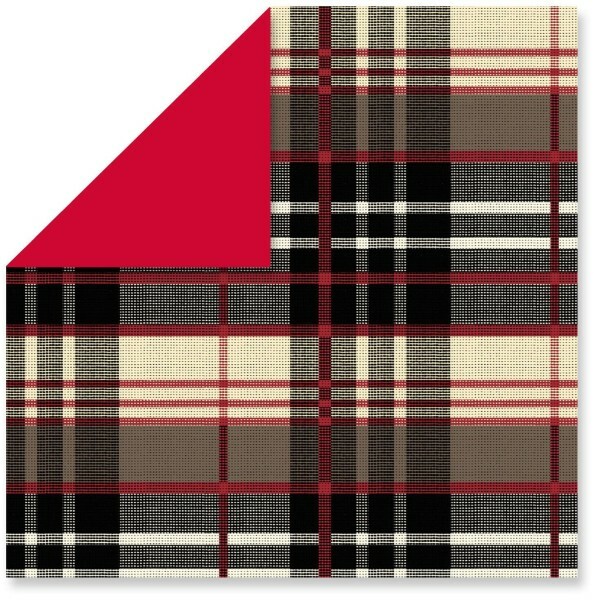 If imperfection bothers you, a different pattern might work… perhaps better than a plaid. But I’m going to embrace these wrinkles! To me, the imperfections enhance the end result! Wish I could look at all wrinkles the same way!! Ha! Another coat of Mod Podge to the top of the paper, and voila! Once dry, I had a set of beautiful custom plaid chargers. 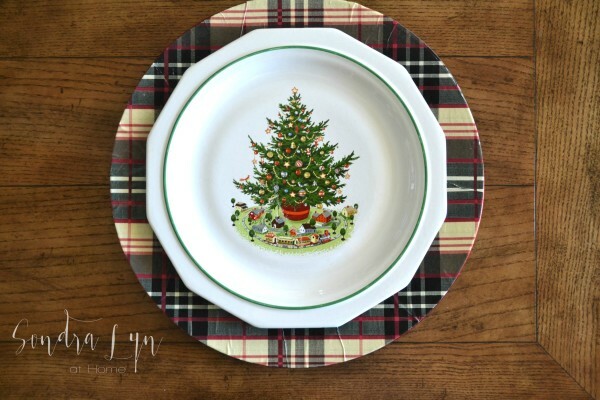 As you can see, almost any type of Christmas plates look fabulous on these plaid chargers! But I have to say, I think this little fawn is my favorite! Thanks for joining me today and taking a look at my video. It’s been fun! And I hope I’ve inspired you to make your own custom DIY chargers! 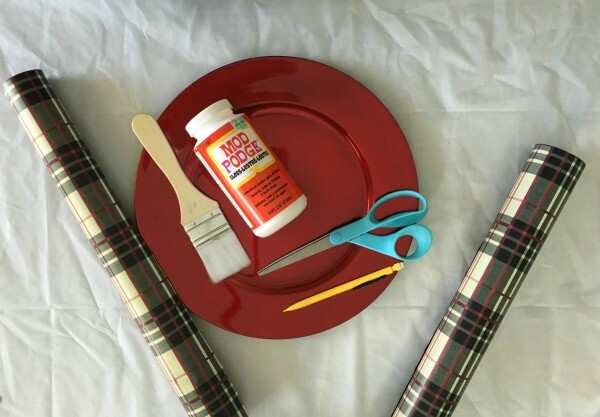 Or to wrap gifts, of course… if you’re not that into wrinkles! Love this project and your video is terrific! Do you have a YouTube channel? so so pretty! I love plaid for Christmas.. I am mad for plaid! Love how versatile these chargers are! Thanks, Malia! 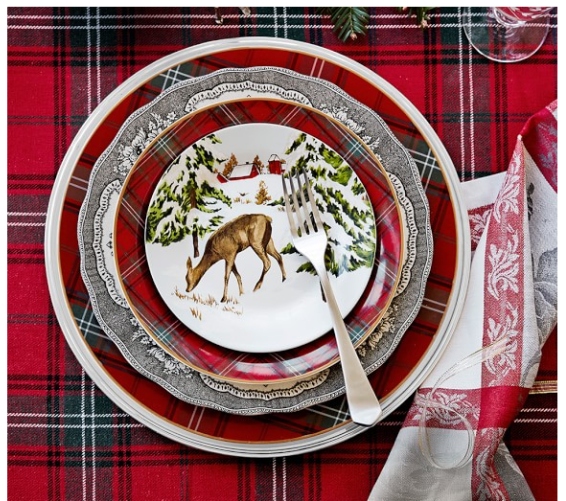 Plaid is so pretty at Christmastime, isn’t it? Thanks for stopping by! 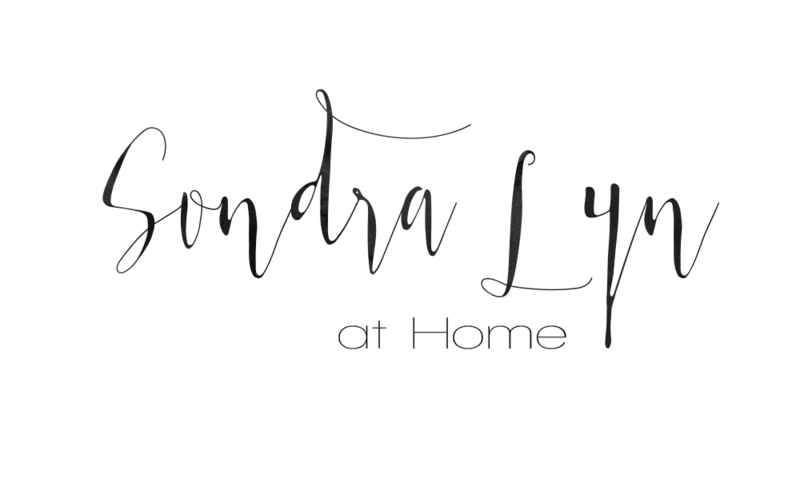 Good Afternoon Sondra Lyn, What a fabulous idea…. I love it…. and the tutorial was so easy to follow. I have six golden chargers which to be truthful have seen better days and they need a sprucing up. 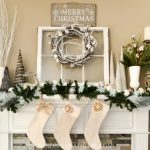 I had thought of covering them in material, but not now, I am going to be looking for some lovely Christmas paper and I am going to use your method. Thank you so much for this brilliant idea. 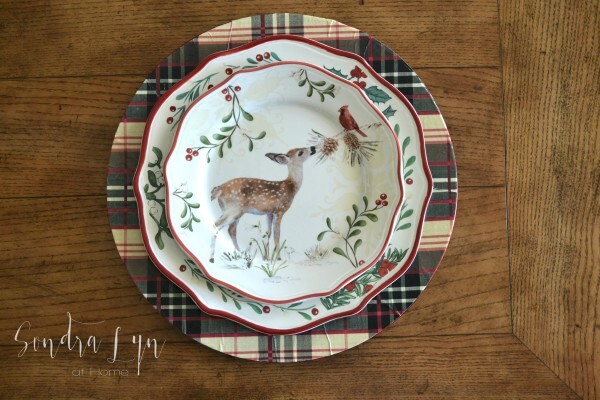 Your place setting is gorgeous and the plaid chargers set it off beautifully! Thank you so much for sharing with us at Snickerdoodle Sunday. Pinned and tweeted to share. Thanks, sweet friend!! 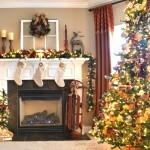 Can’t wait to see your holiday home! I love the plaid! I would have never thought to do this. Now, I’m gonna head over and check out your YouTube video. 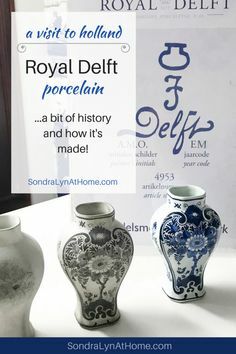 This is such a great idea – as a food blogger I need dishes that pop sometimes for photoshoots and this would be an inexpensive way to add variety. Thanks for sharing on the #HomeMattersParty . I hope you will join us again next week. What a great idea!! 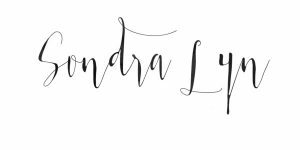 I would love to have you share at my new link party: Crafty Weekends! Hi, hopped over from Friday favorites. Love the chargers and dishes! 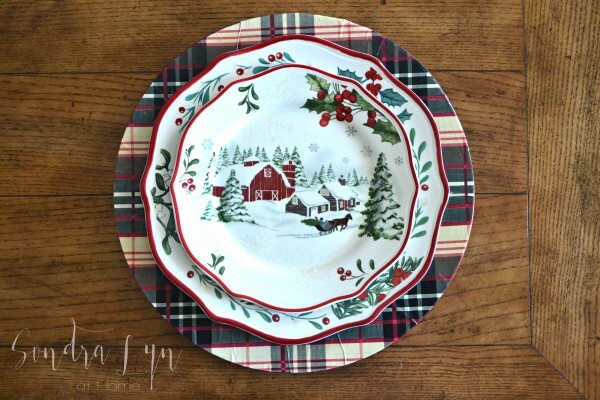 I have modge podged fabric onto plates before, but love this idea. 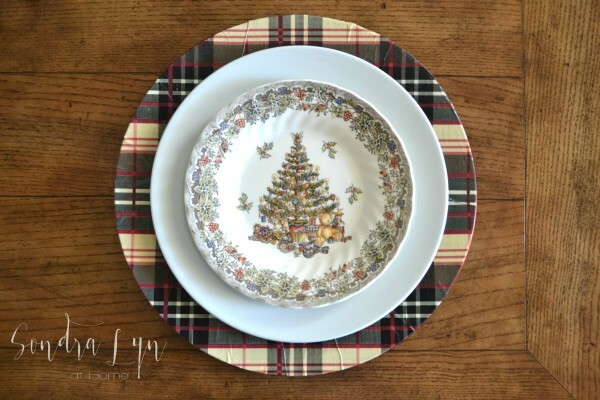 I have set my table in plaid for Christmas. I love plaid! I have a link party, Share Your Cup Thursday. It’s about sharing the things that make you happy. I’d love if you shared some time. OMYGOODNESS!!! 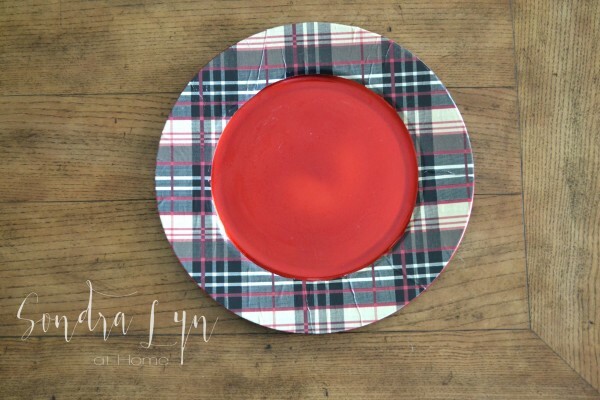 I WAS SERIOUSLY THINKING ABOUT A SOLUTION TO MY NEED OF TARTAN PLAID PLATES..GOD SEND IDEA! LOVE LOVE LOVE….I’M A DO-IT-YOUR-SELF-ER! I CAN TOTALLY DO THIS! I love this idea! Do you think I could use fabric instead of wrapping paper? I’m sure you could, Medina! Let me know how it turns out! OOh! This gives me ideas! I’m going to use fabric instead! This will allow me smooth it out! And I can probably add a coating to protect it too!